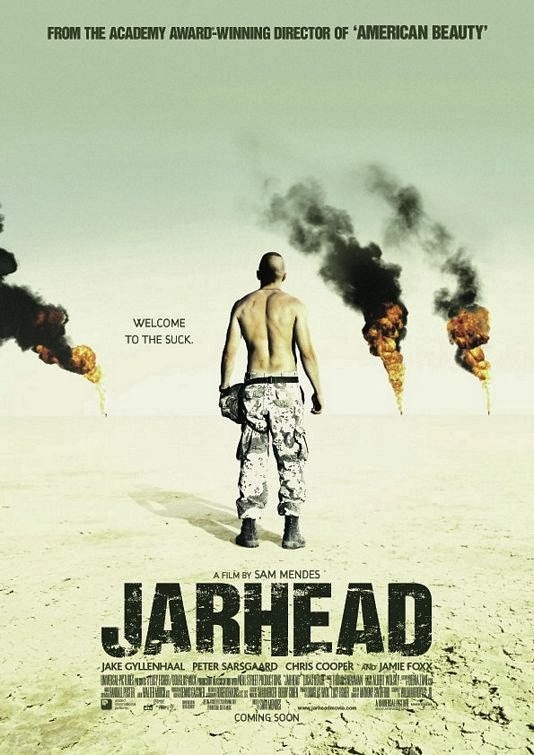 As is seemingly so common with war, what starts out as a bit of a jolly soon gets super serious, super quick in Sam Mendes’ (him of ‘Skyfall’ fame) Gulf War movie, ‘Jarhead’. Jake Gyllenhaal plays Anthony Swofford, a small-town joker who is rapidly straightened out by the robotic routine of the military and later by the interminable boredom of the early stages of that particular conflict. The films also uses Swofford’s character development as a tonal blueprint and, from the off, a sense of reflection and world-weariness slowly creeps across the picture. This is accompanied by an ever-growing air of mysticism, thanks to some increasingly obtuse imagery. Such imagery is brilliantly captured by Mendes’ exquisite eye and he draws a dramatic beauty from the deserts of Kuwait in the movie’s second hour. A combination of the pitch-perfect costume design and the use of a sand-coloured filter does a really effective job of dropping you right in the action. But what action? And that’s the point, really. For all the hype and jingoism, Kuwait was a tough time – both for the governments involved and for the troops on the front line – and ‘Jarhead’ brings those troops’ stories to life. There are moments of real humour but, ultimately, you’re left with a sense of melancholic deflation. An experience best summed up by Jamie Foxx’s Staff Sgt. Sykes. Foxx does a barnstorming job of delivering the comedy but, towards the end, his character’s true nature is revealed. He’s a junkie, a junkie for that most destructive of drugs; war.